Why would I need self storage in Richfield, MN? There are a variety of reasons why you might need self-storage in Richfield, MN. How much is a storage unit in Richfield, MN? The cheapest storage unit in Richfield, MN is $50.00 per month. What size storage units do you have available in Richfield, MN? In Richfield, MN we have sizes that range from 4'x5' to 20'x20' to suit your storage needs. How much is it for a 4'x5' storage unit in Richfield, MN? The cheapest 4'x5' storage unit in Richfield, MN is $50.00 per month. Located just minutes from Minneapolis, Richfield is an inner-ring suburb of the Twin Cities. The city covers about 7 square miles and has a diverse makeup consisting of residential, commercial, industrial and public space. With major highways and other transit hubs linking this city to the surrounding communities, Richfield offers an ideal mix of small-town charm and big-city connections. 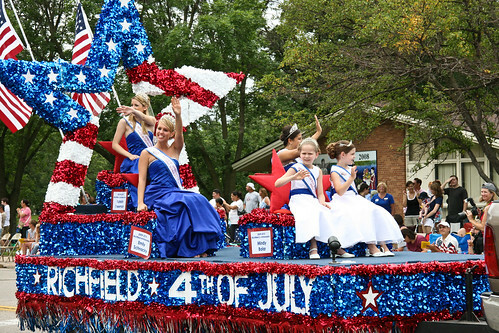 Richfield has been an organized community since 1858, officially becoming a city in 1908. In its early years, Richfield was primarily an agricultural center and the community was named for the rich, fertile land it was built on. After World War II, Richfield grew quickly thanks to the housing boom spurred by veterans searching for family-friendly neighborhoods to call home. Farmland was sold off to housing developers, and residential neighborhoods quickly overtook agricultural land. While the city's population topped out at 50,000 in 1970, Richfield now covers less land and therefore has a smaller population. With 15 major international companies, one of the largest private companies in the world and hundreds of small businesses, Richfield and the greater Minneapolis and St. Paul metro areas welcome a range of businesses. Insurance provider UnitedHealth Group, finance companies U.S. Bancorp and Ameriprise Financial, and manufacturers 3M and Medtronic are the area's top five employers. Retailers Target and Best Buy, food producer General Mills, water and hygiene tech manufacturer Ecolab, and utility company Xcel Energy also provide a considerable number of local jobs. Richfield's job growth beats out nearly every other city in the metro area, which is great news if you're planning to join the local job market. Richfield Public Schools manages the public schools in the city. In addition to its traditional elementary, middle and high schools, the district also offers a STEM school and a Spanish immersion school. There are also many private schools in Richfield, including faith-based, secular and international campuses. Utilities: Richfield's primary energy providers are Xcel Energy and CenterPoint Energy. The city's utilities department oversees water and sewer services. Garbage and Recycling: Like many cities in Minnesota, Richfield requires that you choose your own waste disposal company. The city provides a list of several licensed companies, making it easier to find a good match. Transportation: Metro Transit serves the city of Richfield, operating a network of public bus routes throughout the larger metro area. If you're looking for budget-friendly homes in Richfield, there are plenty to be found throughout the city. Larger, more expensive homes are located along 66th Street and near Christian Park and Lincoln Park. Apartments can be expensive in Richfield, but many of the city's apartment communities provide extensive amenities like resort-style pools, gyms, theater rooms and more. Our lowest priced units in Richfield, MN average $50.00 per month. 60 people have reserved units in Richfield, MN in the past 30 days. There is 1 location within Richfield, MN's city limits. There is 1 location in Richfield, MN that offers AC and Heating features.